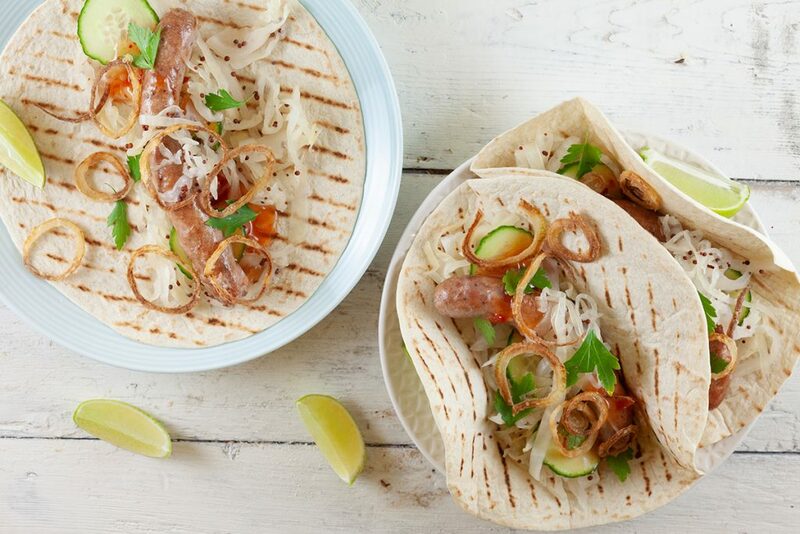 Try a different kind of filling with these tortillas with sausages, white cabbage and crispy onions. With delicious sweet and sour cabbage! 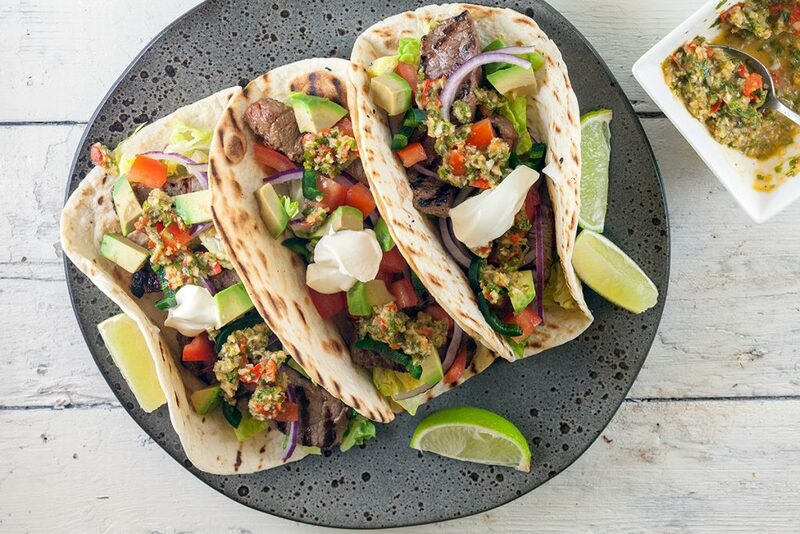 Chimichurri steak tacos are bursting with flavors. 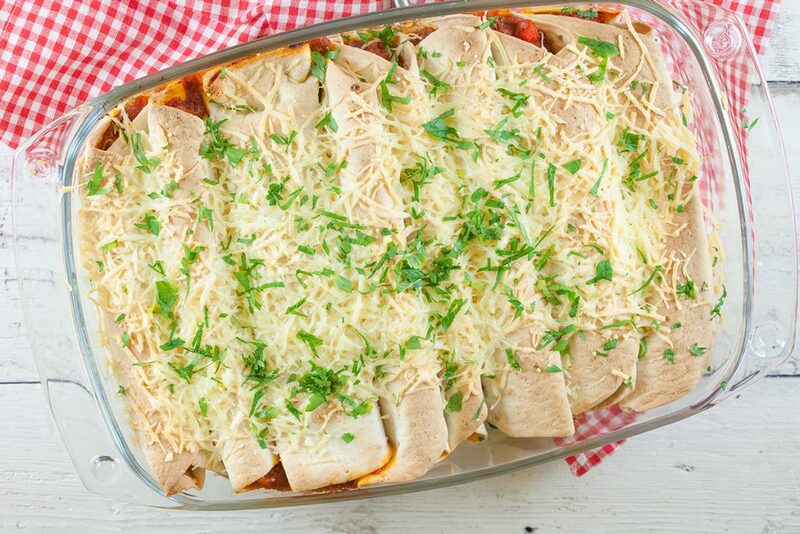 Filled with peppers, garlic, onion, avocado and more. Use tender steaks for the best result. Ready within half an hour. 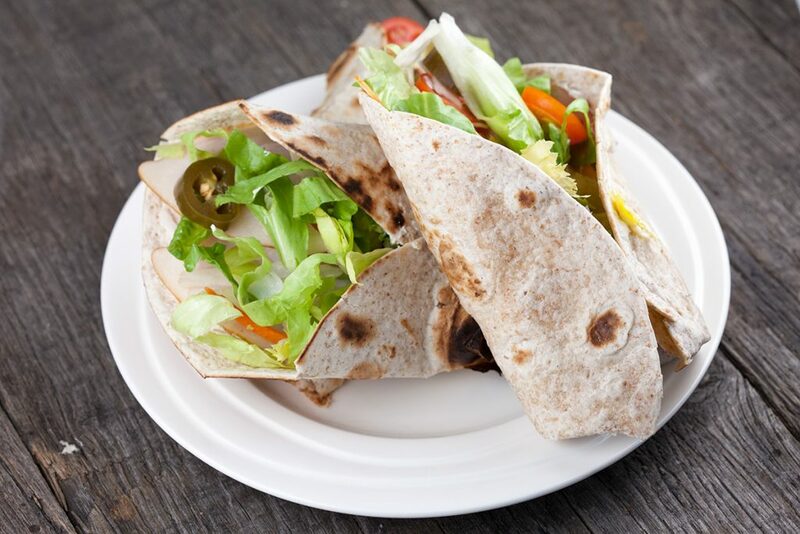 Chicken and mango tortilla wraps are an easy and quick recipe for every day of the week. With mango puree instead of mango pieces. 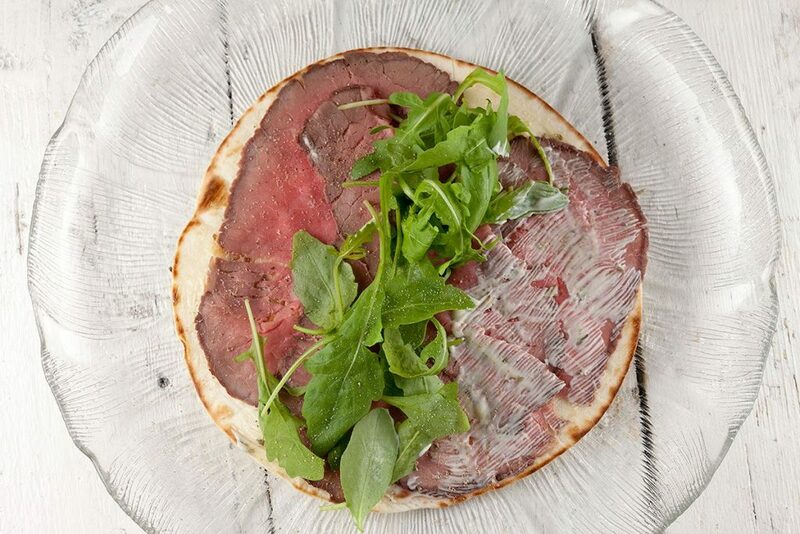 This quick and easy roast beef tortilla wrap is ready in 5 minutes, recipe for one. 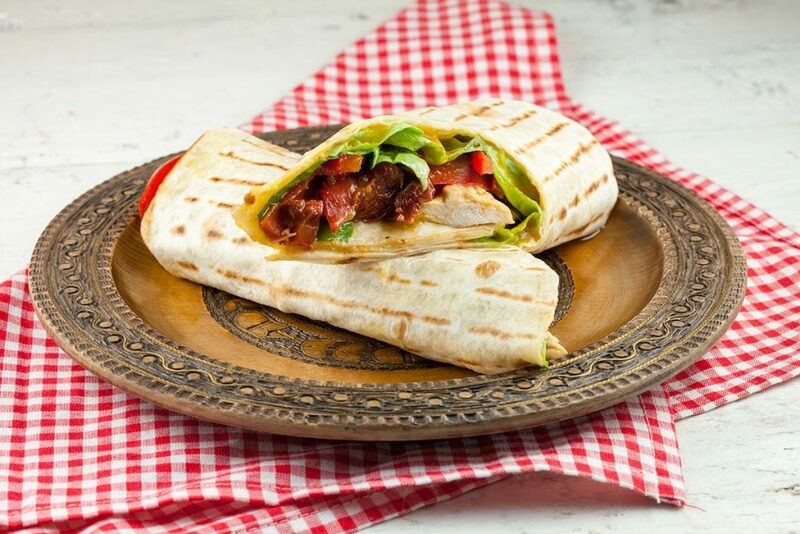 Delicious breakfast or lunch tortilla wrap. Good food does not need many ingredients. 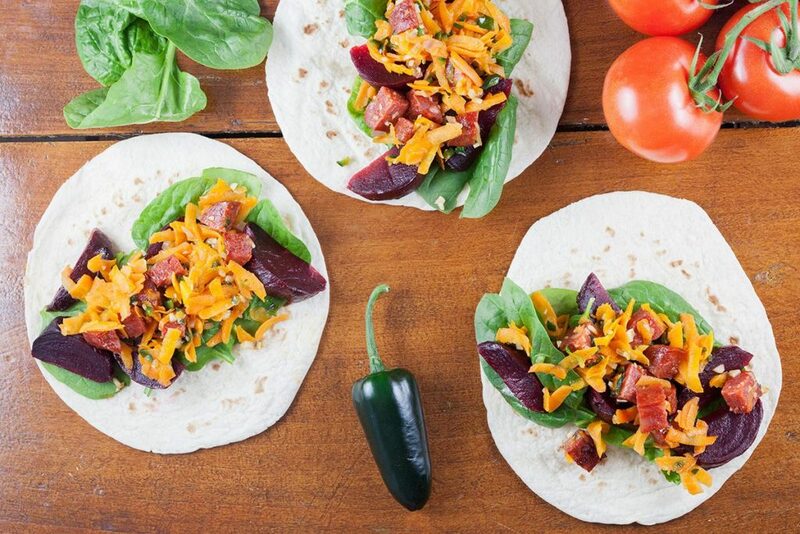 You can prepare this smoked trout wrap with lime in less than 10 minutes using only a few ingredients! 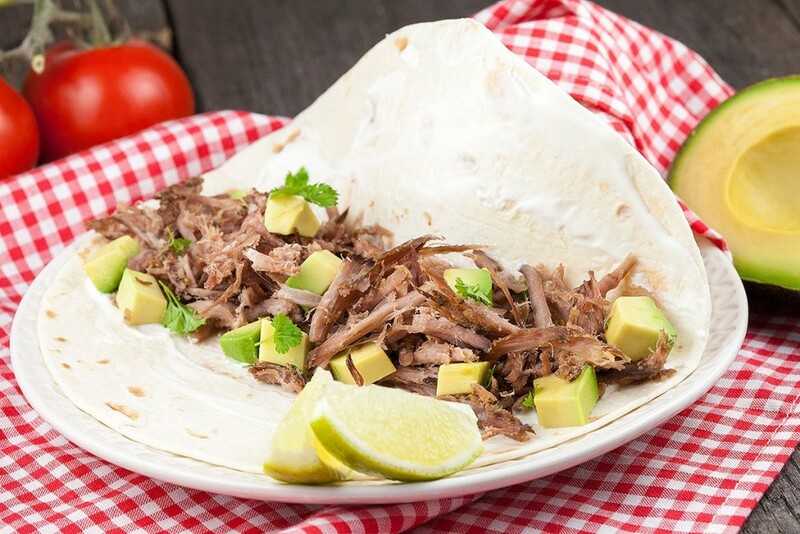 Slow cooker pork carnitas are a Mexican speciality that means ‘little meats’ and is similar to pulled pork. 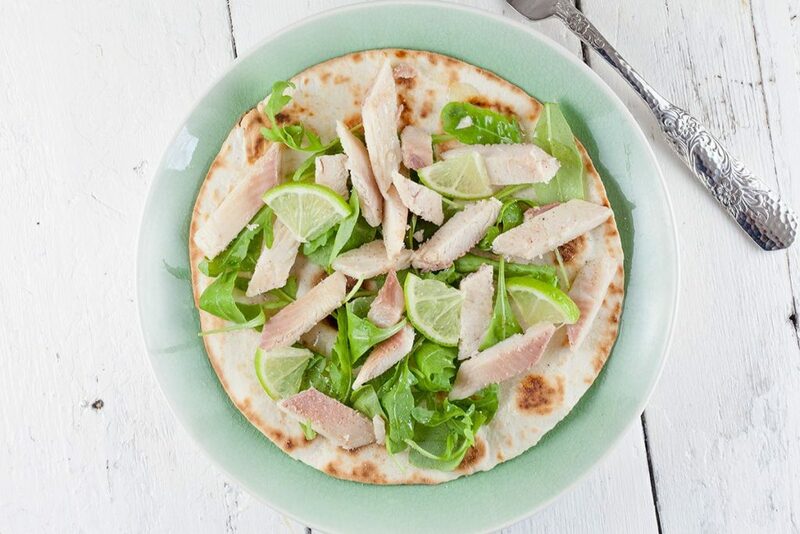 Served on a tortilla with avocado and lime. 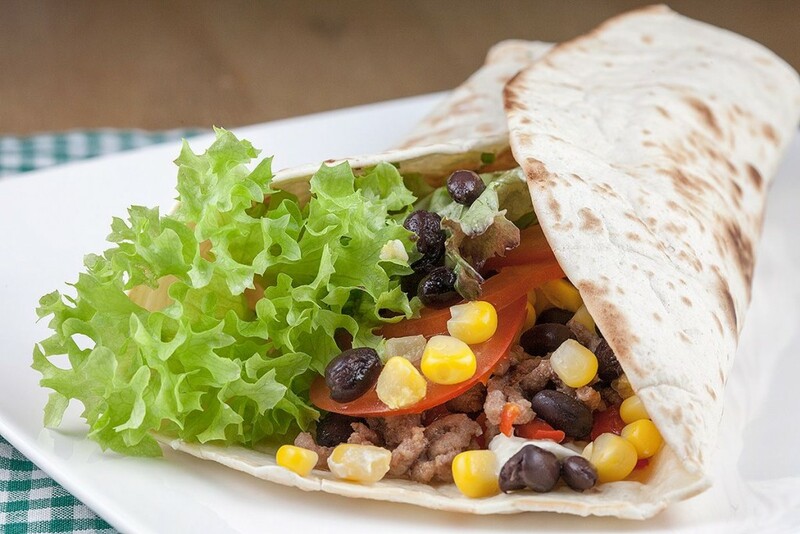 Fuss-free beef breakfast burrito, ready in less than 20 minutes and does not need any butter or olive oil! Recipe for 4 people. 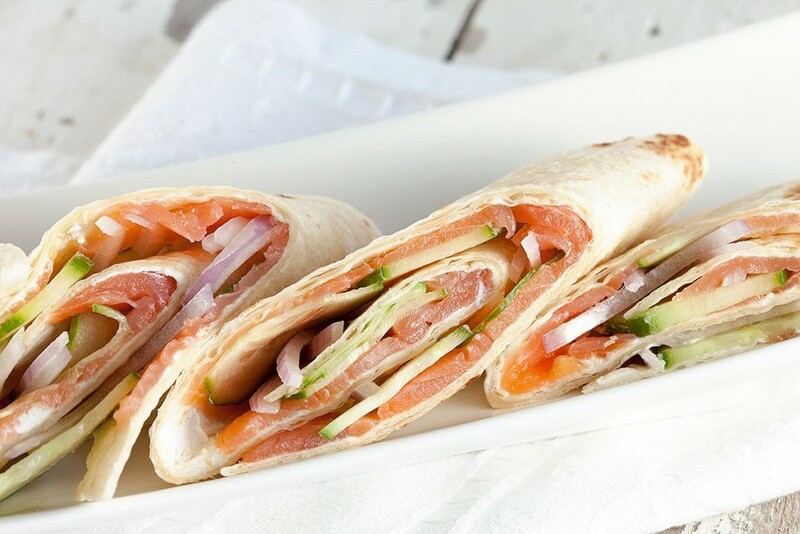 Breakfast worthy smoked salmon wraps. 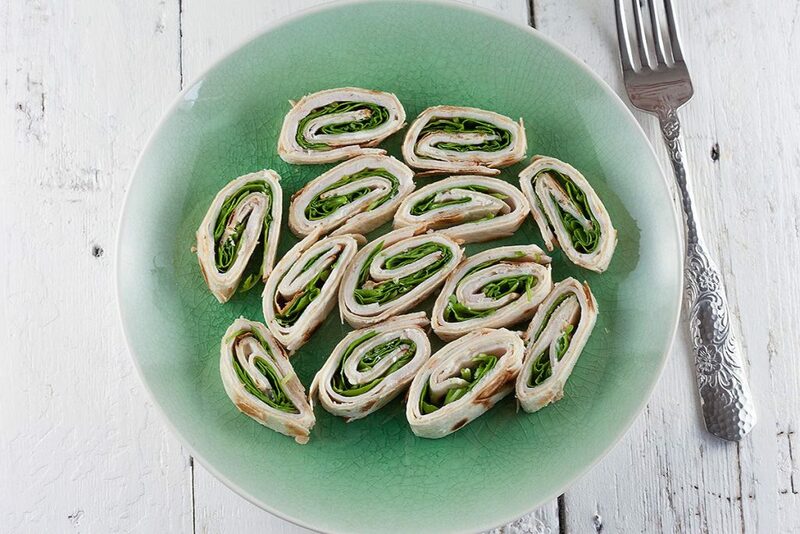 This recipe makes two tortillas filled with cream cheese, cucumber and red onion. Ready in less than ten minutes.